But no-one should be pleased that more and more Foodbanks are starting in Britain in 2014: everyone should afford to feed themselves and their families without the indignity of going to a Foodbank. Dave Wilcox, a veteran labour councillor in Derbyshire who helped his local foodbank get lottery money, recently wrote of his “sadness in success”. Like many, he hopes that one day foodbanks will run out of customers, return their money to the lottery, and that everyone will have enough money to buy their own food rather than need handouts. How right he is. While the Foodbank is a strictly apolitical organisation, the people running it know how demand has grown since the current government began its draconian attacks on the poor. 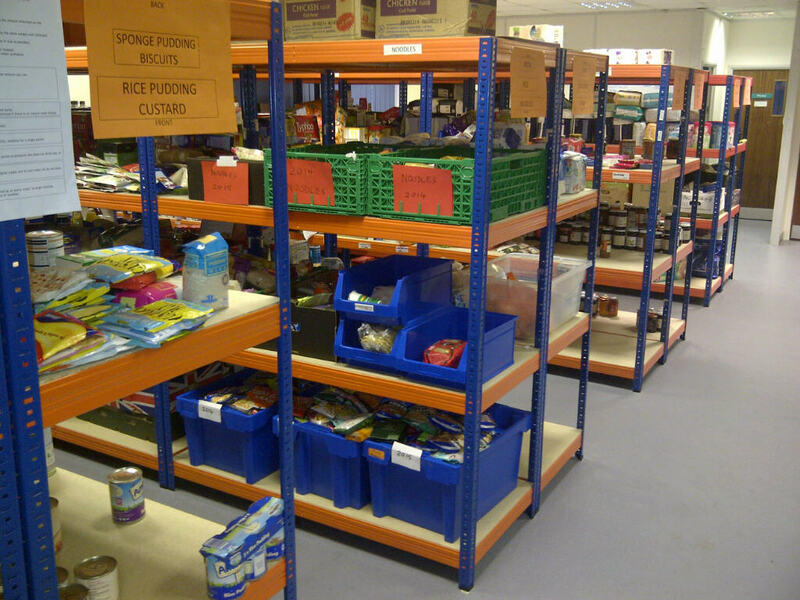 The Greenwich Foodbank grew from two to eight “welcome centres” in its first year (those in the Blackheath/Westcombe area are the Forum at Greenwich, the OneSpace centre in Kidbrooke, and the Boys Brigade Hall just off Old Dover Road). 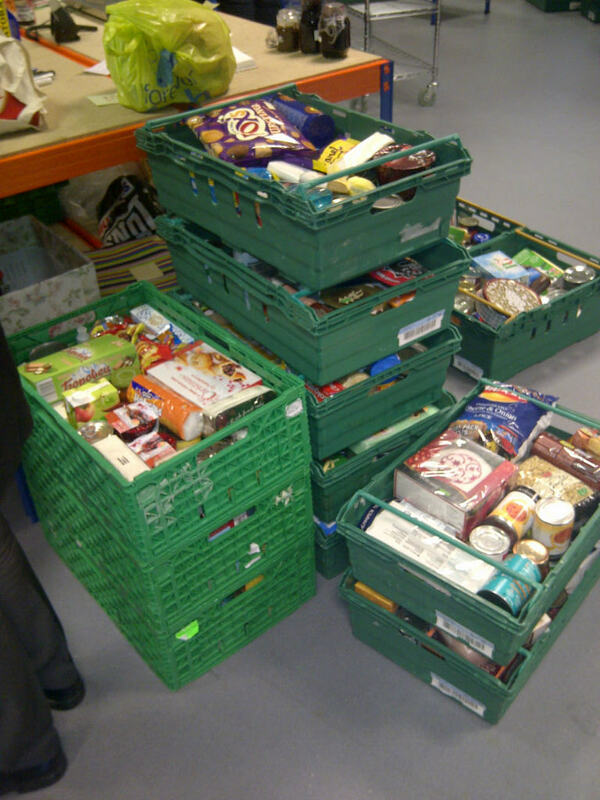 The number of people the Foodbank helped increased from 1,000 in 2012 to 3,000 last year. As Alan Robinson told us last month, “Most of our referrals are people who have been hit by welfare reform, and that’s not ending anytime soon.” These people are not scroungers or workshy: many are ordinary people who have suddenly found themselves penniless because they’ve lost a job, been bereaved, or had their benefits stopped. 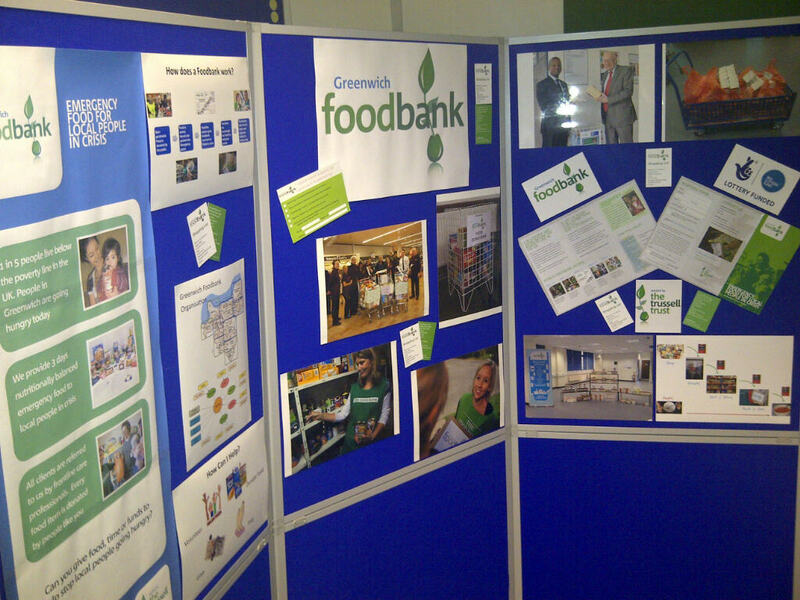 The Greenwich Foodbank is one of 400 nationwide, which fed almost 350,000 people in 2012-13. All too often, Tories and Lib Dems are in denial about how their policies have fuelled this growth in foodbanks. It was depressing to hear Lib Dems in Greenwich complain last summer that it was “undesirable” for the council to offer the Foodbank a council building on Orangery Lane in Eltham town centre at a peppercorn rent (see page four of the public questions at last June’s Full Council meeting, to be found here). Given that Foodbanks’ growth is a direct result of the coalition government’s policies, I can understand why the Lib Dems might want them hidden away, out of sight and out of mind. The Tories are even worse: in Bromley, the Conservative-run council told the local foodbank last month that it would have to start paying rent of £8,500 a year to stay in its premises. During a recent Commons debate about foodbanks, Tory MPs laughed and sneered when told how hungry families were turning to foodbanks, and several ministers left the Chamber after just an hour of the debate. Welfare Secretary Iain Duncan Smith has, controversially, refused to even meet with the Trussell Trust to discuss how he can reduce demand for foodbanks (to be fair though, two of the Greenwich councillors who visited our local foodbank in December were Conservatives). Those running the Foodbank in Greenwich are doing a great job but I hope that before long a Labour Government is elected to restore fairness to our welfare system, so no-one ever has to use a foodbank. In the meantime, you can learn more about the Greenwich Foodbank, and how to donate food to it, at its website (the Foodbank accepts most non-perishable food items but is currently particularly short of long-life fruit juice, tinned meat and fish, and small bags of sugar).